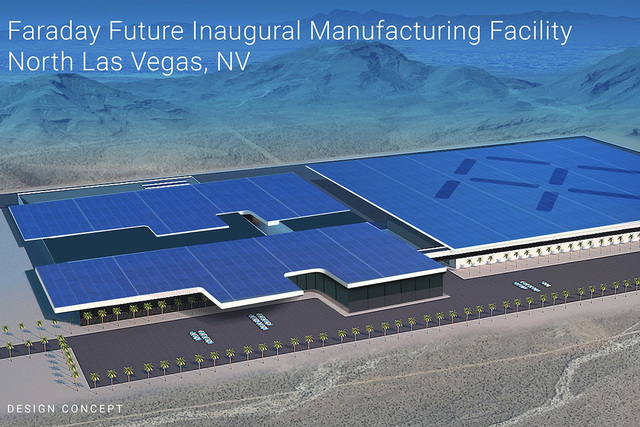 The North Las Vegas industrial submarket is showing strength with large-scale developments such as the Faraday Future and other projects either under construction or in the planning stages. In 2015, Alderson said North Las Vegas users absorbed 2.1 million square feet of industrial space out of the 4.9 million square feet available — or 42 percent. About 1.7 million square feet are under construction in the North Las Vegas submarket, with another 2.2 million square feet planned, Alderson said. That include the Van Trust Real Estate LLC’s planned spec industrial project that will bring more than 1 million square feet of space to the Northgate Distribution Center near Lamb Boulevard and Interstate 15. The project is set to be built out by the end of the year. Reno-based Dermody Properties has plans for a 550,000-square-foot spec industrial project near Las Vegas Boulevard North and North Walnut Road. 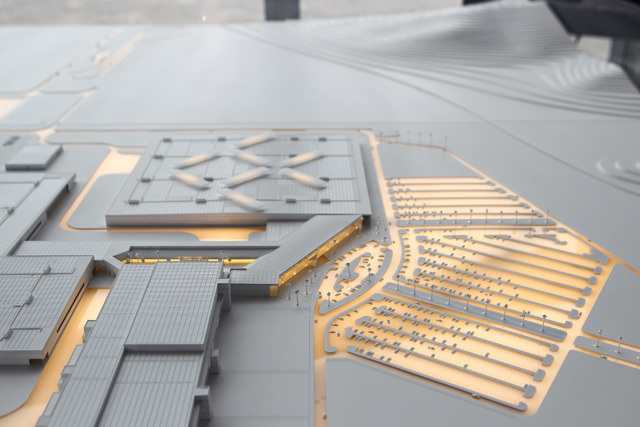 That project is also expected to be ready by the end of 2016. Dermody completed a 400,000-square-foot project at the end of 2015, dubbed LogistiCenter at Cheyenne. North Las Vegas makes up just under 30 percent of the total market with a 32-million-square-foot footprint. That compares to the southwest submarket’s 38 million square feet. “They’re (the southwest) a bigger percentage of the overall market, but they absorbed a lower percentage of the total absorption,” Alderson said. Some of that is because of lack of supply, she said. In 2015, 1.8 million square feet in new space was completed with the southwest bringing up 750,000 square feet. “Both submarkets have good activity, as far as new space coming to the market,” Alderson said. North Las Vegas’ story began in September 2014 when Prologis broke ground on more than 464,000 square feet of space at Pecos and Gowan roads. Prologis was “just kind of being bullish on building spec, and it’s just kind of picked up steam,” Alderson said. Before that, no industrial spec had come to the Las Vegas Valley since 2009, she said. With the increase of activity, vacancy rates are keeping pace with the market, even staying lower than the city’s average at 4.3 percent. That’s compared to the city average of 4.6 percent, according to Alderson. Alderson said a clearer picture on vacancy might come to light by the end of the year when projects are completed. Just to the north of all those projects is Faraday Future’s planned electric vehicle factory, which could support 116,000 jobs with an economic impact of $193 billion over the next 20 years, reported during a panel discussion at the UNLV Economic Outlook of 2016. Dave Brown, president of Land Development Associates, the firm that manages Apex, said contractors on the Faraday project pulled a demo permit in July, part of the process to begin grading. There have been some early twitches at Apex Industrial Park. Pat Marsh, senior vice president of the industrial division at Colliers International’s Las Vegas office, said there is a lot of activity from speculators, one being a paper company looking for 350,000 square feet. The potential for development is there, but some things could slow the market down, experts say. “One problem that could slow everything down is a lot of the surrounding land owners suddenly think that they’re sitting on a gold mine, and their land is doubled and tripled in pricing,” Marsh said. But so far, the big impact to the market that some people are expecting hasn’t happened. Marsh compared the situation to the Tesla factory in Northern Nevada. Shawn Danoski, co-founder and CEO at Las Vegas-based DC Building Group, said he thinks the area could begin to move when Faraday starts getting closer. “I believe once Faraday shows physical progress that will create more interest,” he said. Much of Danoski’s recent work has come from the influx in the economy, completing work for the incoming Cracker Barrel chain.